The 77-95mm Step-Up Ring from Benro is an aluminum-constructed ring that enables you to adapt a larger 95mm size filter onto a 77mm diameter lens, therefore, many different filter sizes can fit on your lens. 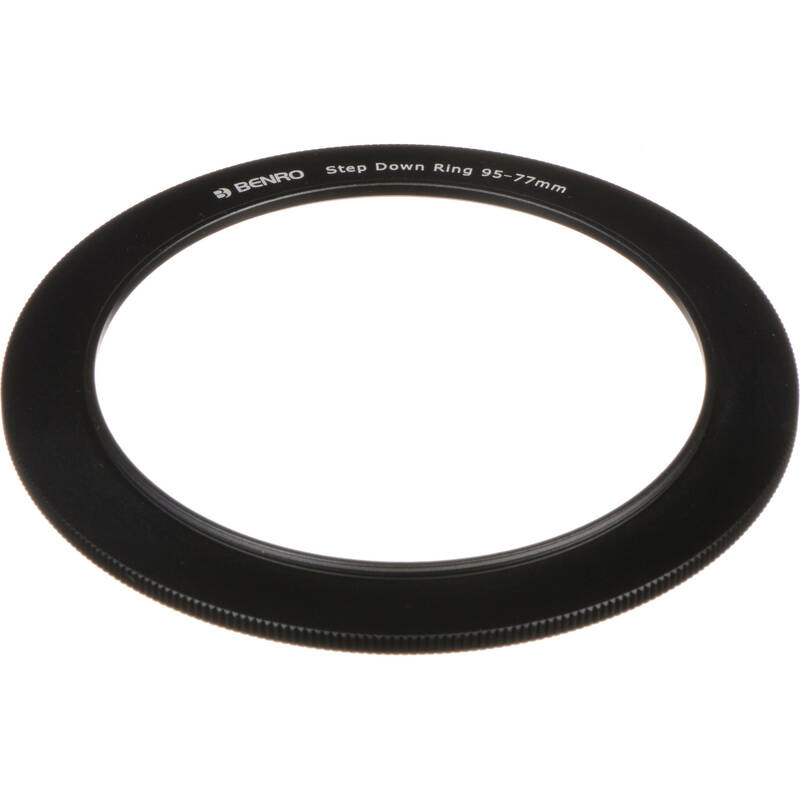 On wide-angle lenses, the ring's low-profile prevents any vignetting in the image, and the flat black finish on the ring minimizes reflections, which would cause lens flare as well. Additionally, the knurling on the edge allows you to have a firmer grip of the ring when you're putting it on a lens. Box Dimensions (LxWxH) 4.5 x 4.0 x 0.1"